Acid Subculture Toast is infused with Drew Estate's secret recipe of magical herbs and botanicals and sports a burly Maduro wrapper. Sweet and toasty in taste, and expertly built to burn with the best of them, Subculture Toast is a handmade tobacco miracle for your mouthpiece. The medium-bodied Acid Subculture Toast gives off bright tones of oak, cocoa, toasted bread, and zesty spice through a traditional 6x50 Toro vitola. Every time I venture out of DE's line, looking for another/different stick, I always come back to DE. Soooo....If you're a fan of Drew Estate(Irish Hops, Clean Robusto, Tabak Especial, etc)...you HAVE to give the Toast a try. I've tried several ACID cigars prior to this one, but they just never "hit home" with me. This one did!!! All the things you expect from DE...great construction, nice even draw, complex yet smooth and NOT overbearing. ***As an aside: The Toast is one of the few cigars where women(I don't know) come up to me and say, "Now THAT is a great smelling cigar!" Not a cheap date, but well worth it! Very smooth cigar. Great after dinner with cocktail. Good quality. I highly recommend it. The flavor of Acid Toast is mellow and bold at the same time. It has an even burn and is the perfect size to support a good conversation, read of the newspaper, or a peaceful view of the sunset by the lake. Mild, slightly flavored even burning taste. Smoke them while golfing where they're good for half the round. Acid toast is one of my favorite cigars. Purchasing the 2 fer gets me a better price. This is definitely the way to order if you know you like the cigar. I love them, they have a great, not to sweet taste. The burn is always slow and even. It's pricey but it's well worth it. If you like infused cigars, these are great! They have a hint of cloves and a great tobacco flavor, with a bot of sweetness. They're a great, mild cigar perfect for every day smoking. My everyday smoke would be a Vanilla flavored stick.The Acid is a great smoke for someone that would like to try something different, but a little hesitant.Toast will not disappoint.Smooth draw,flavorful and cool even burn.Nice! I like the ACID Toast. This was my first cigar from the ACID brand. While the cigar is labeled as a medium strength cigar, to me it smoked mild. It had an interesting aroma with a rather complex array of tastes. The first 1/4 of the cigar burned evenly but then it took a bad turn and burned quite uneven around halfway. At 3/4's it was back to being even again. The ash could be better, it breaks uneven and seems hard in the center. At around 1/2 to 3/4 the draw was less than desirable so, I re-cut the end. That helped, perhaps the end was packed a little too tight? Over this is good cigar, I purchased it as a part of an ACID sampler and I would purchase this cigar again. When I purchased it I was unaware it had a sweet wrapper, which I generally do not like, but it was mild without bitterness which seems common in sweetened cigars. Good burn, very favorable sweetness. Toast is a sweet tasting cigar with floral notes but not to sweet .I have found most people enjoy the fragrant smell of the smoke . This is one of my absolute favorites Acid cigars along with Tabak. I have tried several different types & brands of cigars. I like most, but I keep coming back to the Acid Toast. I just like them the best and whole heartedly recommend them to everyone. There are some others I like but they too are Acid cigars. 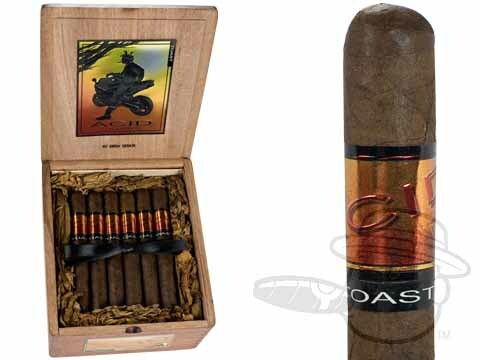 This cigar is one of our favorite flavored cigars. The quality of the cigar was perfect. Drew Estates does it again and delivers an affordable quality cigar. Acid Subculture Toast is rated 4.7 out of 5 based on 27 customer ratings. Does this cigar have a sweetened tip? The Acid Subculture Toast does not have a sweetened tip, but is infused with special herbs and botanicals.